It's one of those days that I, my sister, and her friend is having a hard time choosing what to eat and where to dine. We've been roaming around the mall, trying to decide whether to eat at a certain restaurant or not, until we pass by Yabu: House of Katsu. 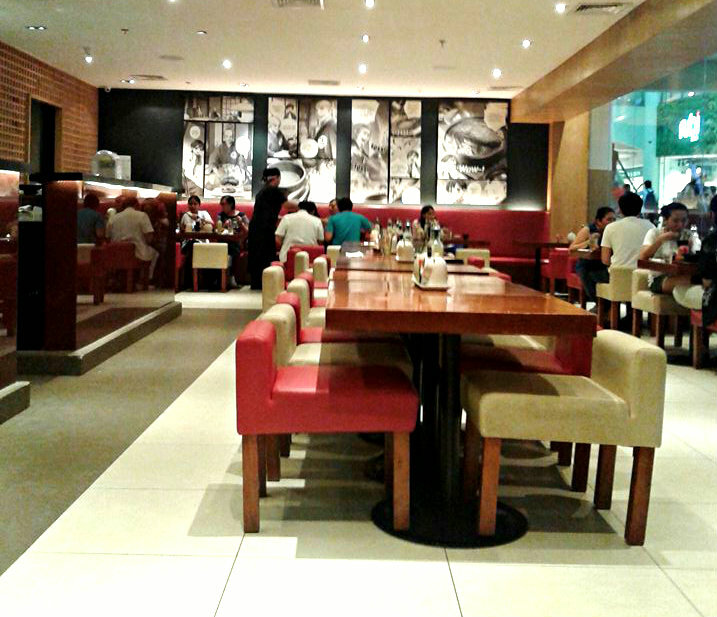 Yabu: House of Katsu has been one of my favorite Japanese Restaurant since the first time I tasted their Gyudon set. I love Gyudon, I am picky and particular with its savor and Yabu satisfied and delighted my palate while munching everything on their Gyudon set. Yabu's interior is a typical restaurant with Japanese Comics wall decor and bottled ingredients with labels written in the Japanese language. Upon settling down, the server handed us their menu. We ordered my favorite Gyudon Set, Furikake Fries, Menchi Katsu Set and Katsu Curry Set. 1. Grind the black and white sesame seeds until it turns into a powder and you can smell the aroma of the sesame seeds. 2. Pour the Katsu sauce two to three times on the powdered sesame seeds. 4. Dip the katsu of your choice to the mixture. 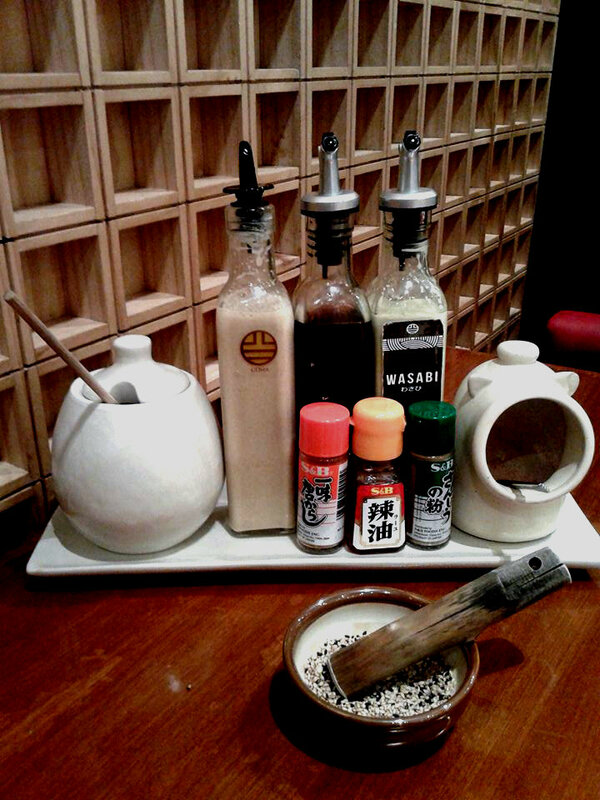 Aside from the ritual she also reminded us about Yabu's condiments. The set meals are composed of unlimited Miso Soup, Cabbage, Fruits, and your choice of Katsu or rice bowl dish or Donburi. To add up flavor to the cabbage she told us that we can use three condiments- Goma, Wasabi, and Shouyu. For the fruits, we can sprinkle Himalayan Pink Salt and to spice up our meal we can add chili powder, chili oil, and Japanese pepper. Furikake Fries arrived first. 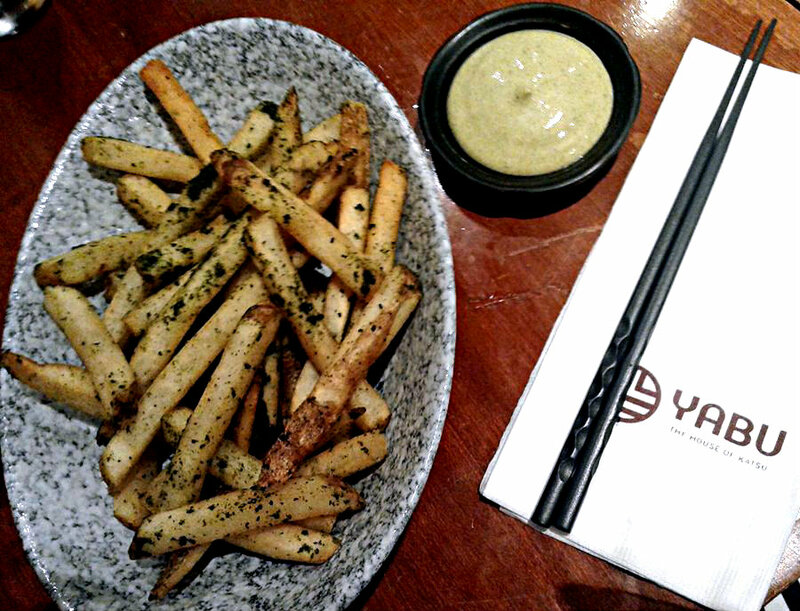 Furikake Fries are steak fries tossed in Furikake herbs. This fries is crunchy on the outside and fluffy on the inside with salty taste like seaweeds. The fries is served with a dip that is creamy and has a spicy and sour taste. After a few minutes, our set meal arrived. Gyudon set is a rice bowl dish with miso soup, fruits, and cabbage. 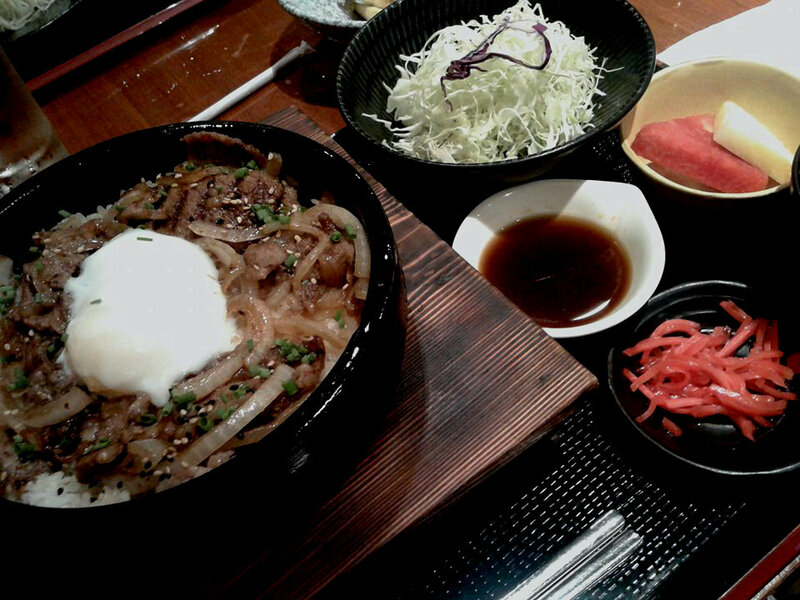 Gyudon has tender, grilled beef belly with sweet honey soy sauce topped with sauteed onion and a poached egg. Menchi Katsu has crunchy on the outside with tender and juicy on the inside minced breaded beef. The minced beef is stuffed with cheese and mixed with Yabu's special spices. 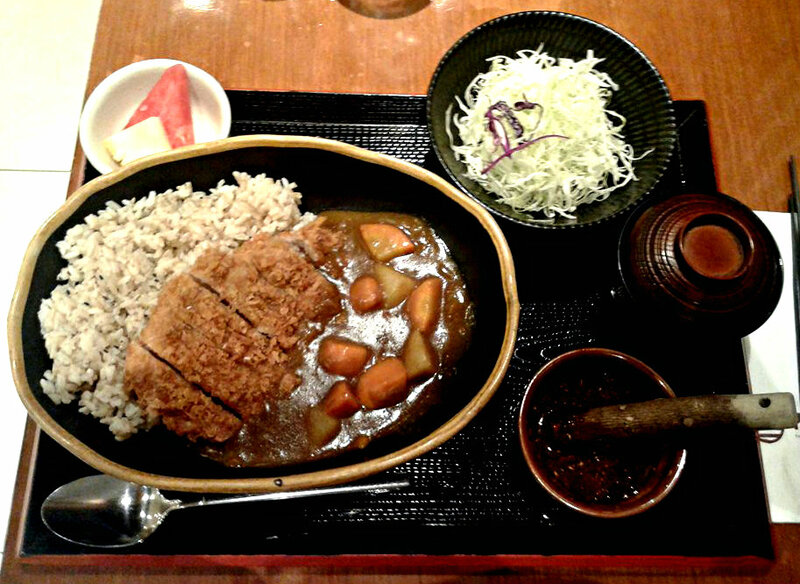 Katsu Curry like Menchi Katsu has crunchy on the outside with tender and juicy on the inside minced breaded chicken. The chicken katsu is served with Yabu's signature curry that tastes authentic curry. 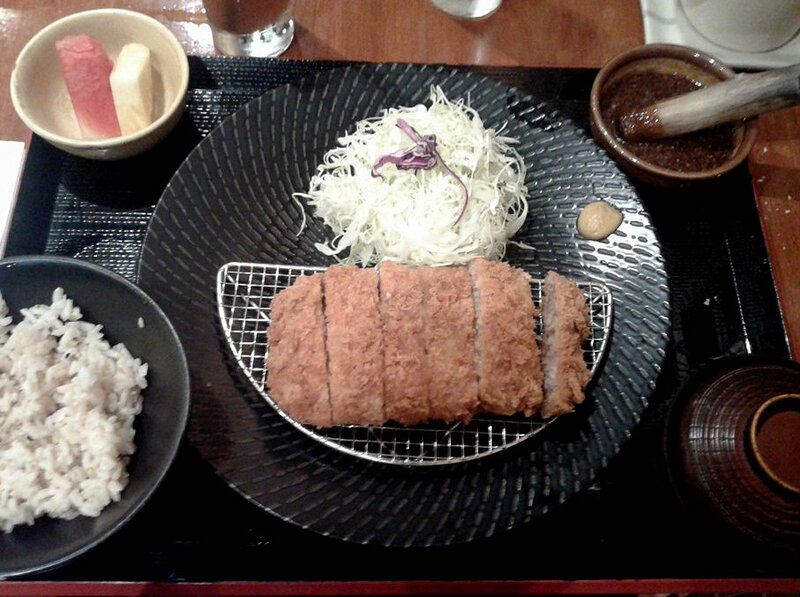 Yabu: House of Katsu never fails to satisfy my palate with its tender Gyudon beef, and sweet sauce, and crunchy on the outside and juicy on the inside minced breaded beef and chicken Katsu. 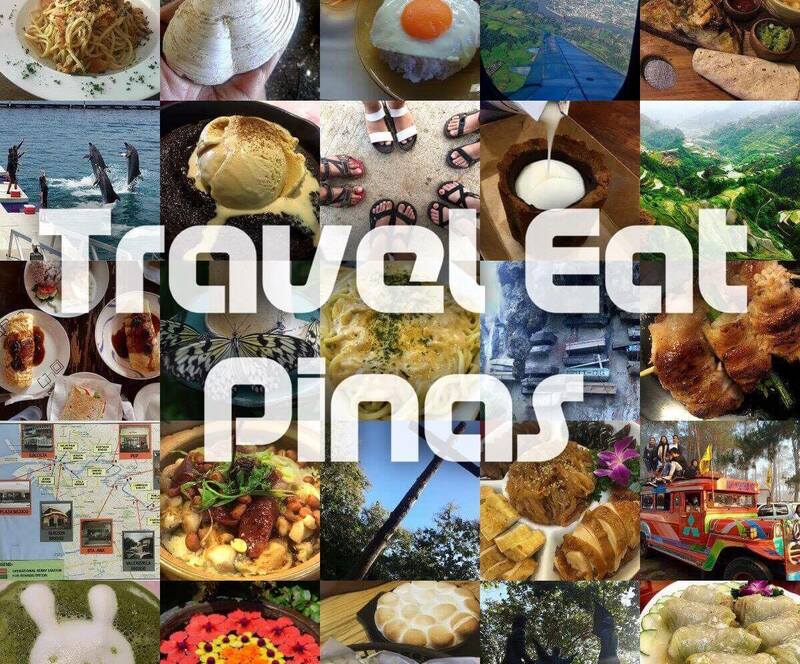 The price is also reasonable considering the generous set meals with unlimited miso soup, cabbage and fruits, and the authentic taste of Japanese dishes. I will never get tired of going back to Yabu whenever I crave for Gyudon and Katsu. It will always be on top of my mind.